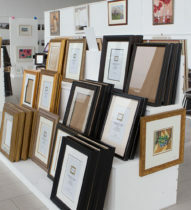 At Fine Framers, we have one of the largest selections of readymade frames in Ireland. 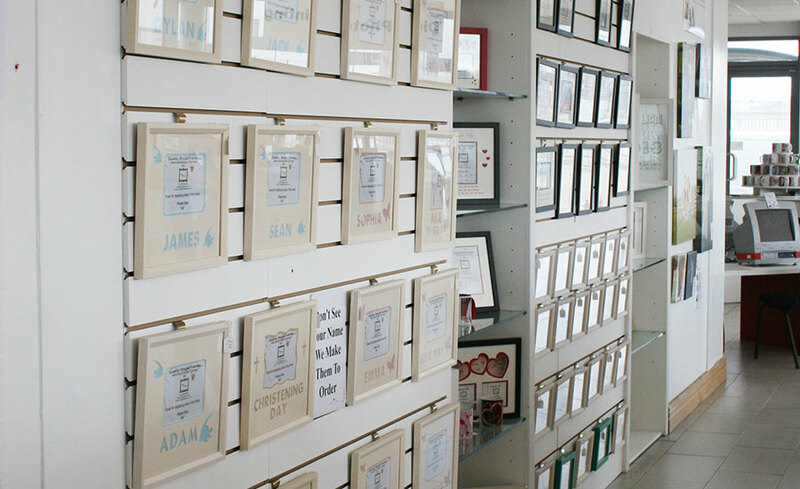 Our extensive shop floor normally has approximately 5,000 readymade frames on display. We make them all ourselves, using only top quality materials and the expert techniques that set us apart from the rest. 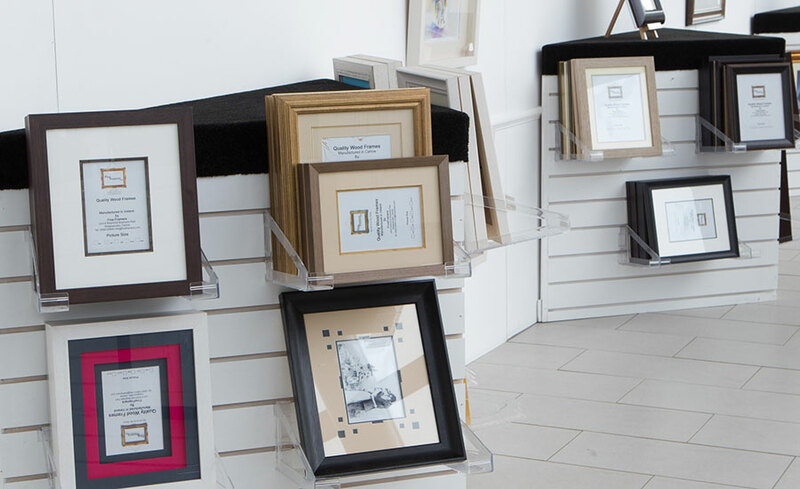 It means that for any picture, painting or photograph you wish to frame, you’ll find a frame to suit if you come to visit us. 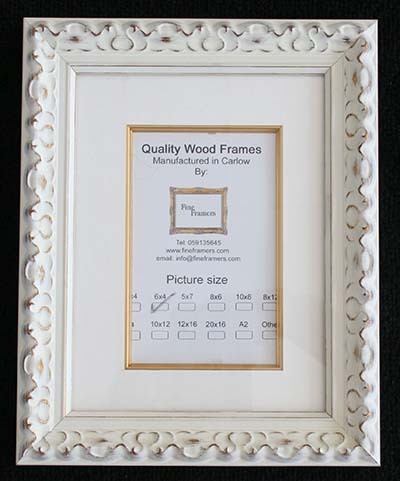 You can choose from readymade frames with or without an inner mount to accept standard photo and paper sizes. 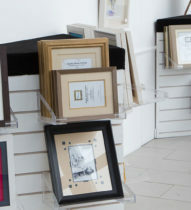 We also have a wide range of frames with multi-aperture mounts, ready to accept a number of photos. 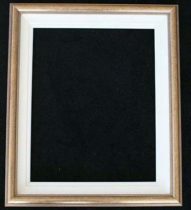 If you select a frame that does not fit your photo or artwork, we can cut a mount to suit. 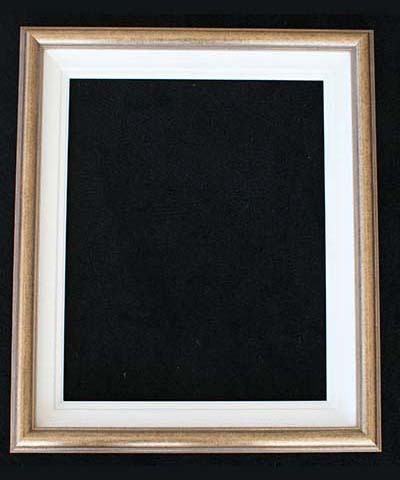 For artists, we have a selection of frames (complete with liner), ready to accept the most common canvas sizes. 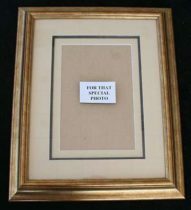 These properly frame and protect the painting, ensuring it looks its best for many years to come. 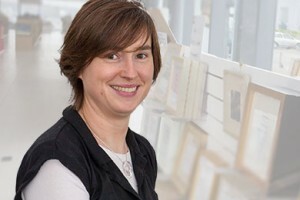 If you wish to frame a canvas, we can also provide expert advice on the special considerations involved, and help you to choose the most appropriate type of frame. 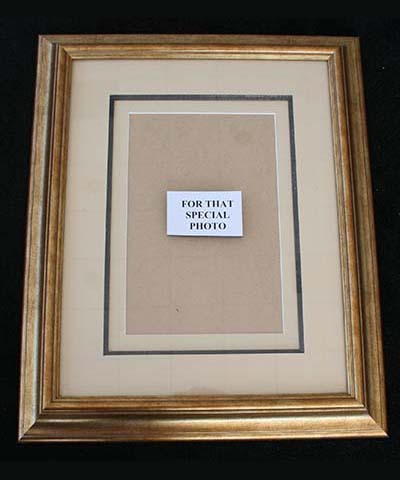 Our stock always includes a Clearance Hall of discount readymade frames. 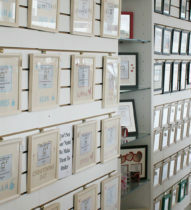 These may include cases where we made a bespoke frame to a slightly incorrect size. 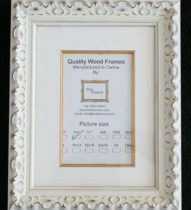 In addition, when a wood moulding is discontinued by one of our suppliers, we often produce a selection of readymade frames with our remaining stock of that moulding. 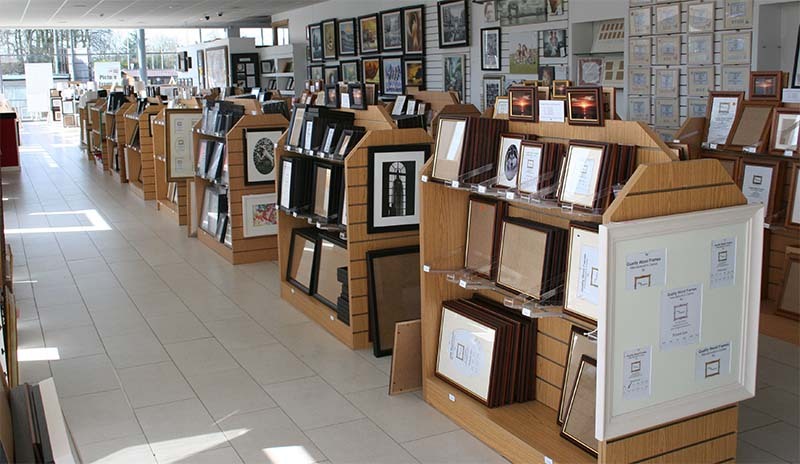 It means our Clearance Hall is always worth a browse, as you may find a great bargain here! 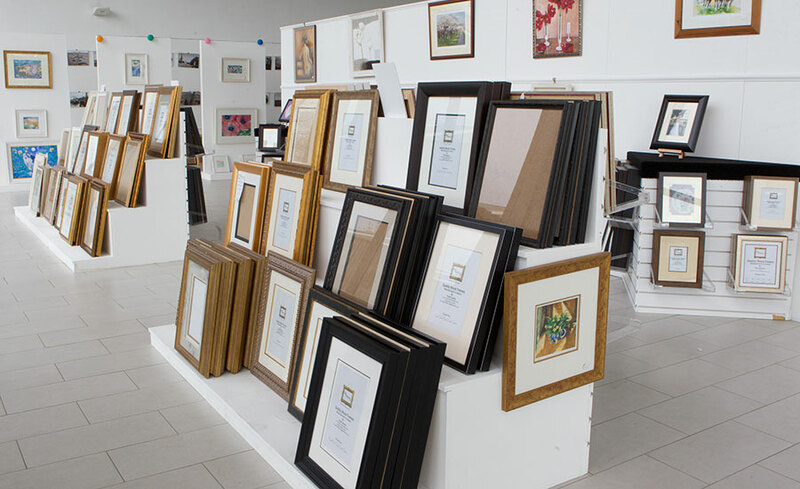 Simply call to all our extensive showroom to see our wide range of readymade frames. 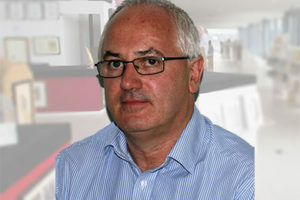 You’ll find us in the Wexford Road Business Park on the outskirts of Carlow (beside Ken Black’s). 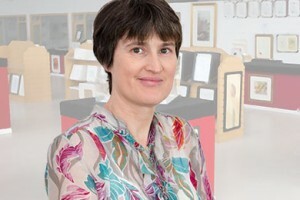 We’re open 9.30 a.m. to 6 p.m., Monday to Saturday (closed for lunch, 1 p.m. to 2 p.m.). We look forward to seeing you!